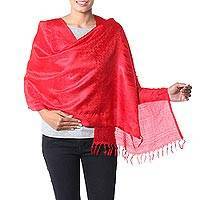 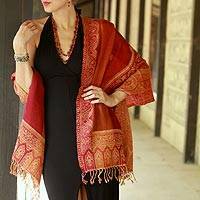 This bright red and gold and saffron shawl is instantly among my favorite accessories. 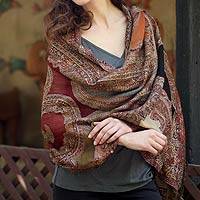 It just shouts the mysterious beauty and glory of all artistic things India! 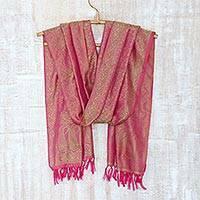 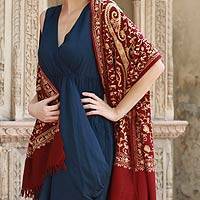 The jamawar style pattern in a rich gold and saffron is elegant and detailed and I love the bright warm red of the wrap. 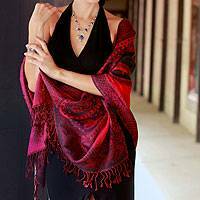 Dress it up for a wedding or wear casually for a night on the town--this is a statement piece, bold and stunning.